Whether we come willingly, or kicking and screaming, our inescapable evolution is guiding us into the New World. We're all aware of how we want to be portrayed, how we want others to perceive us. 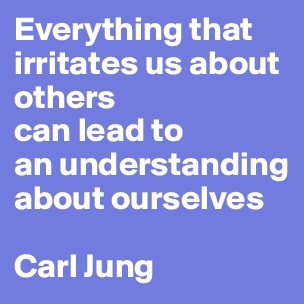 So, quite naturally, anything incompatible with our chosen conscious attitude about ourselves gets hidden. Our dark side (yes, we all have one) gets pushed into the shadows and we close the door. A clue to what lies in our shadows can be found in what irritates us in others. These shadow aspects are mirrored back to us this way. Your SHADOW SELF is your disowned self - those parts of you that threaten to jeopardize your ego's chosen persona. The trouble is, this Great Shift in Consciousness has now swung the door open and we're being called to face this dark side of ourselves in order to become whole. Although this can make us fearful, although we may feel that we're not prepared to deal with what's there, although these thoughts and feelings may be judged by ourselves as well as others, the truth is we ARE ready, and we CAN find the courage to do this. This is the evolution of our species - we are evolving into the New Human. We need to embrace the totality of our Selves to live in this New World. 1. Find a quiet place where you won't be disturbed. 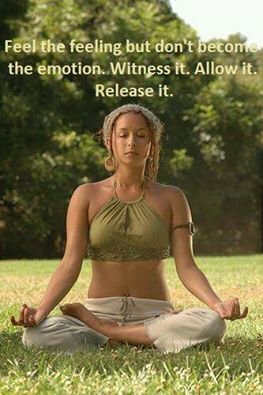 Create a sacred space there. 2. Settle, centre and ground yourself, taking three deep breaths. Feel your root chakra connect to Mother Earth. Feel your crown chakra opening up and connecting with your higher Self. Breathe. 3. Set the intention for your Shadow Side to reveal itself to you. Quieten your mind and wait. 4. Simply BE with whatever comes up for you. 5. Choose to witness any pain, anger, fear, anxiety, shame, embarrassment - without judgement. 6. Breathe it out. Feel it come up, then let it flow through you. 7. The shadow aspect is no longer in darkness. It can become the light of it's true self and merge back within you. NOW you can experience integration and wholeness. 8. Enjoy the feeling of liberation, all aspects of the Self now unified. You're the HERO of your life!